I love things being organized. 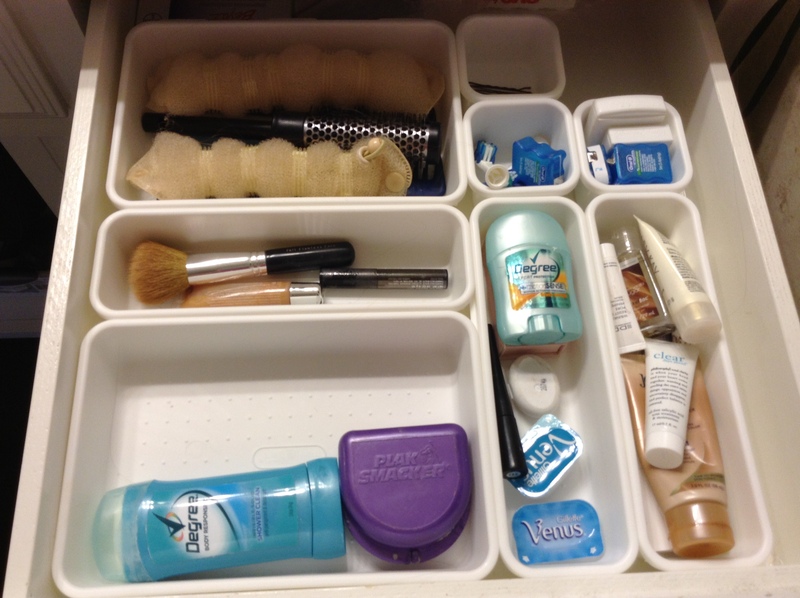 “A place for everything and everything in its place.” Being organized can help reduce stress! After the move into our new house our master bathroom has lots of drawers. All of the stuff banging around and getting messy was driving me nuts. So I went on a hunt for a drawer organizer. I found some options at Homegoods and TJ MAXX but they were over $20… So I went to Garden Ridge and winner winner chicken dinner I found a set for $6.99. AND bonus it is adjustable…. I need to go buy another set but everything shown in the pic was in one pack!